The 1995 Honda TRX 300 FourTrax is a utility ATV with engine displacement comparable to a small motorcycle. Honda produced the TRX 300 FourTrax from 1988 through 2000. 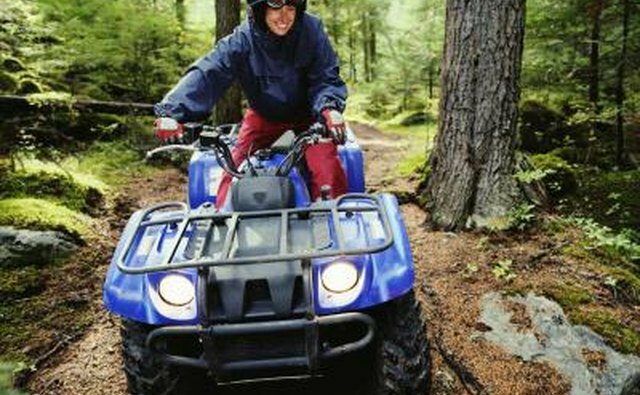 Honda still manufactures the utility ATV FourTrax Recon which has an engine displacement of 250 cc, a FourTrax Rancher with a displacement of 450 cc and a sporty TRX 300X. The 1995 Honda TRX 300 FourTrax has an engine displacement of 17.2 cubic inches, or 282 cc. 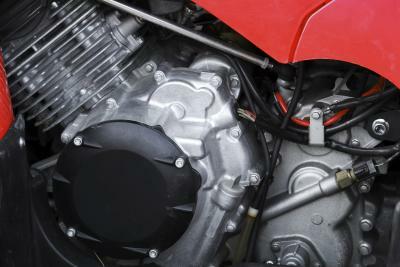 The bore and stroke are 2.8 by 2.6 inches, and the compression ratio is 9:1. The total power output is 20 horsepower at 3,500 RPM, and the total torque is approximately 30 ft.-lbs. at 3,500 RPM. The fuel tank holds 3.3 gallons of gasoline, and the engine oil reservoir holds 2.6 quarts. This ATV uses a 12V battery and a .25KW at 5,000 RPM generator. The power transmission gear ratio is: first gear--2.38, second--1.6, third--1.17, fourth--.8 and reverse--5.4. The spark plug gap is .033 inches, and the valve clearance is .0006. The 1995 Honda TRX 300 FourTrax is 75 inches long, 44 inches wide and 43 inches high, with a wheelbase of 49 inches in length. the ground clearance is approximately 6.3 inches. 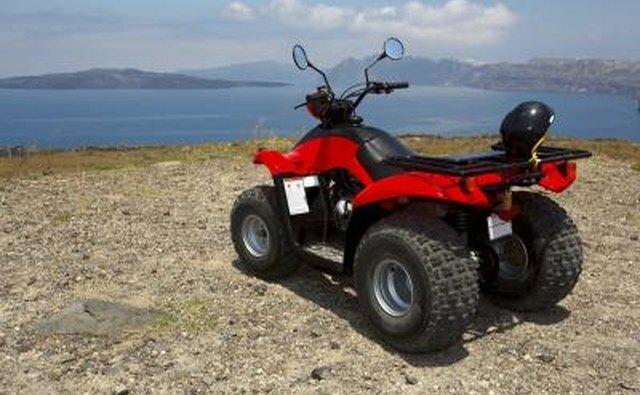 The total dry weight of the ATV is 487 lbs. The front tire is an AT23x8-11, and the rear tire is an AT25x11-9. The maximum weight capacity of the 1995 TRX 300 FourTrax is 460 lbs., and its towing weight limit is 850 lbs. The front cargo rack can hold 66 lbs. maximum,and the rear cargo rack can hold 133 lbs. A recommended 30 lbs. of total weight can be placed on the trailer tongue while the combined weight on the tongue and rear cargo rack is 133 lbs. The caster angle of the suspension is 7 degrees, and the trail length is 1.26 inches. 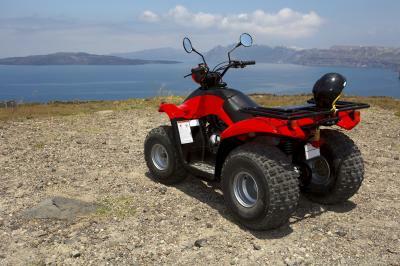 This ATV features reverse, neutral and oil temperature indicator lights on the display panel. The 1995 TRX 300 FourTrax has 25W low and high beams and a 5W tail light. 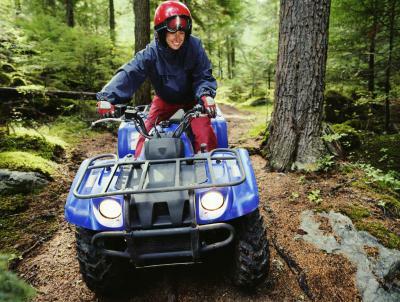 This four-wheeler uses a kick-start and has a 12V DC adapter outlet. A helmet holder is located on the handlebars, and there is a storage compartment underneath the seat that holds a tool kit, air pressure gauge and owner’s manual. There is a trailer hitch installed on the rear of the ATV. The 1995 TRX 300 FourTrax is also equipped with front and rear skid plates. Off Road Outdoors: Honda FourTrax 300 4X4, Used But Still Going Strong!